The title recognizes the leadership, expertise, and efforts of individuals who contribute to Flad's culture, projects, and present and future growth, according to Flad President/CEO Jeff Zutz. David Halpern (Flad New York) works in the firm's academic and corporate S&T sectors, having led diverse projects for CUNY and the Connecticut Public Health Laboratory, as well as numerous corporate master plans and feasibility studies. Mike Moreland (Flad Atlanta), the director of the Atlanta office and marketing lead for the Atlanta area, manages a variety of projects in the academic and corporate arenas; he has successfully managed multiple projects at Georgia Tech and the University of Georgia. Philip Ra (Flad San Francisco), lead designer working on a number of S&T and academic projects, brings a unique perspective to project teams through his teaching at the Academy of Arts University. 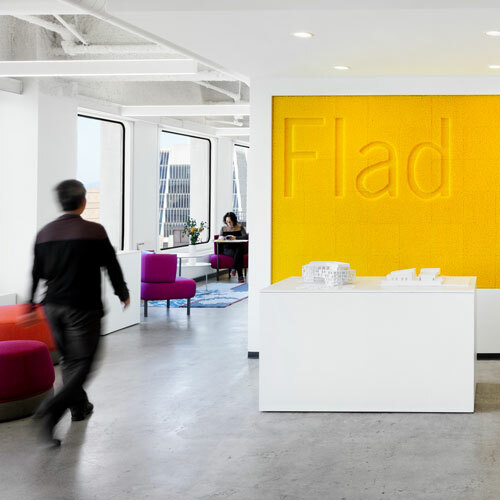 He works collaboratively across Flad offices to further integrate technology into the design and execution of the firm's projects. Deb Smith (Flad Tampa), the director of the Tampa office, works in the firm's healthcare sector and has served as medical planner for UF Health and Sarasota Memorial Health Care System. She has presented at numerous healthcare conferences and sits on national committees that establish healthcare standards for the design industry. Pat Spoden (Flad Madison) has worked in all three of Flad's core markets, most recently leading project teams for clients such as Lee Health, Penn State and UF Health. Pat works with Flad staff across the country to refine the firm's processes and standards for executing projects. Congratulations to Flad's new associate principals on this achievement.